It is known to all of us about the versatile nature of Android. Well, the different surprise that it has got for is sure to call for an attention. However, faking a GPS is yet another most perfect option that fits up to the bills just right. And the best thing is, the feature is available in almost all of the Android phones now. There is plenty of reasons for you to spoof your location out of which a few are quite niche. But, I don’t exactly know what you are here for. I hope that nothing is illegal at least. The actual processes to do so are just a piece of the most delicious cake that you will ever have. What is GPS Location Spoofer? Well, to enlighten the minds of many, spoofing is not an easy trick. 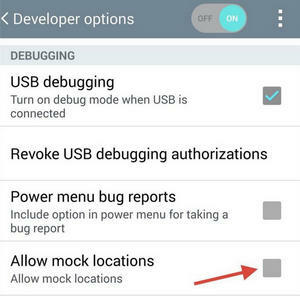 Spoofing your Android GPS location is something that most of us look for. The needs sure vary and so does the sole purpose. This serves most of the developers out there. Spoofing offers many uses and especially to those who make app testing. If you are an ordinary Android user, you are sure to extract the advantage from the same. All you have to do is manipulate your location and you are good to go. For starters, get the best spoofer app that fits your purpose by paying a visit to the location spoofer guide. Here is the entire process. After you get hold of your favourite application, look ahead and enable the developer options. This can be done by visiting your Android setting option. 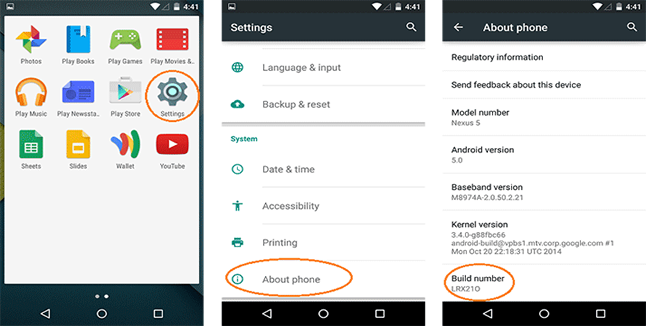 In case you have missed out doing it, head to "Android Phone" option from your phone's setting. Click on the "Software Information" and tap on "Build number" at least seven times. This will unlock it. The process is similar to almost all the Android phones and even the tablets. After Developer Options has got unlocked, head up to your setting options. Further, scroll down unless you find "Allow Mock Location" option. After you see it, don't forget to check the box present right next to it. Pick your most favourite app from the link mentioned above. These can easily be downloaded from Google Play store. The Fake Location GPS by Lexa is what I am looking forward to working with ahead. After you open the fake GPS application, the app will redirect you to a map from where you can easily choose your fake location. Choose a spot for yourself from anywhere in the globe. Further, go to the “Set Location”. Also, make sure that that you’re Wi-Fi is disabled as it is likely to cause some trouble later. Now, you can easily access the Fake GPS location application by going to the notification panel. There you can easily locate the exact coordinates of the place you are spoofing. You can also add the location you wish to fake by using the search option. All you need is the ZIP Code for the area that you want to visit. Enter the desired ZIP Code in the location box and you are good to go. The GPS location pin will easily drag to the position automatically. Then again, you can also enable your history location. This will save your time from the next time. You will not have to choose the location every time. They will be directly accessed once they are saved in your location history. Well, how about you save yourself some time and get the shortcut? The next and the final thing to do is, use up your location spoofer application. Use it with the new location. All you need to keep in mind is about spoofing the exact location that you are aiming to fake. Also, do it before you actually open the app and visit it. It might so happen that the process falls out later. You can easily turn off the mock location in any minute. For doing it, enter the application and click on Stop option available. Now, you will have all the power in the world to use and convince your application. Your act of smartness will not work out by chasing on for Netflix. The app is not that flexible as much. It required IP Spoofing for the same and also needs you to use a VPN Service for the process. That is all the information that you will need to fake your location. The purpose behind it sure does vary and it is different for different zones. However, you can easily try it out to prank your friends and so on.